While I was in trouble with my feet and very weak, some of the brethren came to see me and ask me to tell them something about the cause of my sickness. I think they had a double purpose, first to comfort me by distracting me from my pain and second to set me off talking about something profitable. I truly believe the monk’s assertion of the two fold purpose of any visit to those that are in need is very valid and weighty. When we comfort someone that is hurting, we have a tendency to turn them away from their pain, but more significantly we make them feel a sense of value. 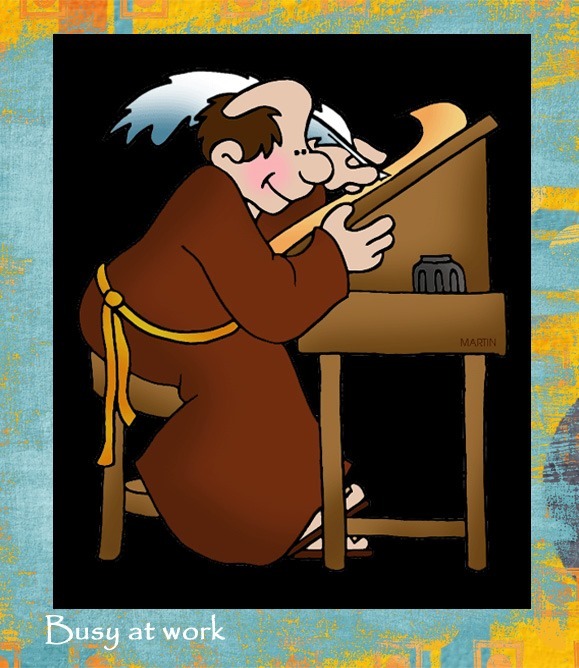 The monk was sitting in his cell probably thinking of nothing but the gout that caused him so much pain, but his day was interrupted with a joyful distraction. This interruption lifted him away from the routine of the day and gave him value to the brethren even in the midst of his pain. Dorotheos gives us a very valuable lesson in his words. This lesson reframes the purpose of visiting the sick and lonely. When we comfort someone in need, we not only minister to them, but we give them an opportunity to minister to us. The brothers visited the monk in his time of suffering, and they gave him the chance to feel whole again. Dorotheos teaches us that we should never stop sharing and never stop serving. In this serving and sharing, God allows us to be disciples no matter what our condition may be. I have always gotten great comfort from prayers of the Celtic tradition. Perhaps this one will mean as much to you as it has to me. of the waves of the sea. Speak to me your truth. Dwell with me in love. There are three possible components to shaping our lives. Anthony says “Whoever hammers a lump of iron.” What is the implication of that statement? Quite simply it means that the lump of iron must change its shape to become useful. Our lives are very much the same. We are raw and unprepared to live the virtuous life. The scripture tells us, “all have sinned and fall short of the glory of God.” With that message, it is clear that change will be a part of our lives as we move toward God. Change doesn’t come easily. Anthony speaks of the hammer as the instrument of change. We all know that the blows of the hammer to the stubborn lump changes its shape. The iron will not change without the violent blows of the hammer. The same is true with us. We change when we are struck with the imperative to do so. The next element in shaping our lives is vision. Without vision, we continue to be shapeless. In speaking of the iron worker, the Monk asserts that first he must decide what he will make out of the lump raw iron. Blow after blow can be stuck, but without vision the effort is worthless. Our lives are exactly the same. Blow after blow can come and we can still lack shape and form. Suffering and hard times are not the key to shaping our lives but only the tools by which we are shaped. The key is vision. What should we be? How do we get there? In Proverbs the writer asserts,” Where there is no vision, the people perish.” Vision is the first consideration when we begin our Christian formation. Have you ever been to a “visioning” workshop and come away confused because the visions were so diverse and so many? Anthony was aware of this problem over a thousand years ago. Make up your minds on what virtue you are seeking or your labor will be in vain. Without vision we perish, but without a focus we perish as well. Therein lies the key to shaping and forming our lives for Christ. We must discover our gifts and work to develop them. God has given to each of us the possibility of greatness and all too often we go around hammering ourselves without a clear vision. Yes, we are suffering servants but we suffer in vain. Earnestly, sincerely and deeply seek the vision of God for your life. When it is discovered God will give you all the grace you need to suffer the blows and become the person that God created. Change, vision and focus are three powerful concepts as we seek to shape our lives for the Christian journey. These are essentials that we must master to move forward. Open your lives to the change that God has in mind and capture the vision and place He has for you. Mother Teresa said, “Become the change you want to see in the world That statement means that we must commit to visionary targeted change in our lives. Lord, as we seek form and shape to our lives help to have clarity of vision. Assist me to ascertain and apply virtue and purity to my life so that I may go forward in a path that is good for me and pleasing to you. One nun came to Blessed Sarah and said to her: Pray for me, my lady. – The blessed one said to her: Neither will I have mercy on you nor will God unless you have mercy on yourself, fulfilling the virtues as the Fathers have commanded us. Forgiveness is the act of pardoning an offender. In the Bible, the Greek word translated “forgiveness” literally means “to let go,” as when a person does not demand payment for a debt. Jesus used this comparison when he taught his followers to pray: “Forgive us our sins, for we ourselves also forgive everyone who is in debt to us.” (Luke 11:4) Likewise, in his parable of the unmerciful slave, Jesus compared forgiveness with canceling a debt.—Matthew 18:23-35. We forgive others when we let go of resentment and give up any claim to be compensated for the hurt or loss we have suffered. The Bible teaches that unselfish love is the basis for true forgiveness, since love “does not keep account of the injury.”—1 Corinthians 13:4, 5. The ability to forgive yourself is key to your psychological well-being. Unforgiveness of self causes a wide range of problems. Suicide, addictions and depression are just a few of the many things associated with self-condemnation. Psychologists struggle to develop creative ways to address this issue. Many suffer from a lack of awareness of their problem with this issue. 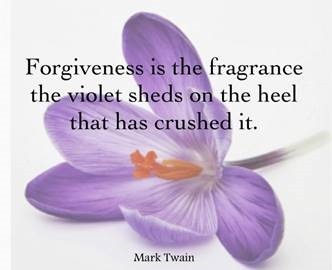 Behavioral professionals, religious and irreligious, know the importance of self-forgiveness. Many corporate hours are spent in seminars that stress the necessity of learning the importance of forgiveness. This endeavor is tremendously costly for the corporate world. Amma Sara knew about such forgiveness 1500 years ago, and said it was the place to start. 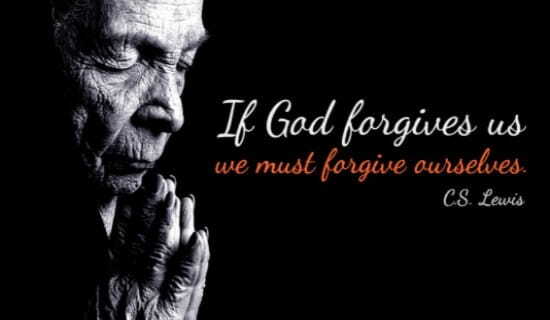 God is a God of forgiveness and grace, and we must forgive ourselves in order to receive forgiveness. Our problem with self-forgiveness is that we don’t really believe in grace – that marvelous property of God that allows Him to forgive us even though we are most undeserving. Amma Sarah called the forgiving of ourselves a fulfillment of the virtues that were bestowed upon us by the Creator. Forgiveness, even of our own faults, is a virtue. Lord, teach me to forgive others and to own forgiveness for myself. This ownership allows me to move forward. Lord allow me to set aside the crippling pain and shame that so possesses my life and move forward forgiving and forgiven. Live simply and without thinking too much, like a child with his father. Faith without too much thinking works wonders. The logical mind hinders the Grace of God and miracles. Practice patience without judging with the logical mind. The dualistic mind is essentially binary, either/or thinking. It knows by comparison, opposition, and differentiation. It uses descriptive words like good/evil, pretty/ugly, smart/stupid, not realizing there may be a hundred degrees between the two ends of each spectrum. We Americans Christians have a real problem with over thinking. Our burning desired is to have a definitive answer for everything, even things that are unanswerable. Richard Rohr points out that there are a hundred degrees of truth between right and wrong. Methodist founder John Wesley felt that in most cases there was more than one right answer. Today we face a real danger of narrowing the love of God by over thinking the words and work of God. It is a sad day when religion is more interested in certainty than mystery. Without mystery there is no God, because He is the ultimate mystery. Our first consideration should be the concept that logic hinders the work of God. Would Jesus have ever healed the first person, preached the Sermon on the Mount or raised Lazarus from the dead if He wanted people to believe in His mission based on logic? The things He did, the words He uttered defied Jewish, Greek and Roman logic. By what He did, he proclaimed Himself as not of this world. Jesus didn’t come into the world to teach us to be logical but to urge us to be mystical. The church is not about logic but about grace and mystery. Now we need to think about the truth that we hold so dear. Jesus said to Pilate. “What is Truth?” I believe that truth is where you intersect with God and become one with Him. One man’s truth can be another man’s enemy. Our God calls us to love Him and His creation. He gives each of us the proper amount of grace to accomplish this elusive task. God never intended faith to be a “one size fits all” concept. Faith is an ongoing journey of personal experiences with God. Our interaction with his indwelling spirit forms us every day. There is no single handbook that tells us how to practice our faith. The reason we are told in scripture to not forsake the assembling ourselves together is so we might share the diversity of our journeys. In these assemblies we find out what the work of God looks like today, not two thousand years ago. Rest assured there will be many similarities, but there will also be some things that are laser focused on current time and place. Never forget the degrees of truth on the spectrum. Oh, how different would the world be if we listened with the ears of our heart? Heart listening would surely end racism, war, crime and all other manner of sin. Long ago it was conceded that we will never attain perfection on this side of heaven, but we must try. Winston Churchill’s famous and short speech was given at his alma mater, Harrow. Here’s the complete text, “”Never give in, never give in, never, never, never, never—in nothing, great or small, large or petty—never give in except to convictions of honor and good sense.” I urge you to never give up the idea of listening at all times with the ears of your heart. Heart listening will march us steadily on to Christian perfection and an ultimately more peaceful world. The simplicity of living without over thinking every little detail of our spiritual walk will lead us to that peace that surpasses all understanding that is referenced in the Bible. Lord help me to truly listen to you without allowing my thinking to block you out. I submit myself to your way and cast aside the way of the world. free me from the chain of my logic and open up for me your infinite river if grace. There is a character in the classic work Don Quixote named Pancho Sanchez. Pancho Sanchez hangs in fear from the ledge of a window all night long, too frightened to let go. When morning dawns he discovers his toes are only an inch off the ground. Peter saw Jesus walking on the water and he wanted to join Him. Matthew’s gospel tells us, ‘Lord, if it is you, command me to come to you on the water.’ Jesus said, ‘Come.’ So Peter got out of the boat, started walking on the water, and came towards Jesus. But when he noticed the strong wind, he became frightened, and beginning to sink, he cried out, ‘Lord, save me!’ It’s amusing to think of Simon Peter climbing out of the boat trying to imitate his Lord by walking on the water. Then, like a cartoon character, he makes the mistake of looking around. “What in the world am I doing?” he asked himself and suddenly he begins to sink. Pancho Sanchez, Peter and Abba Doulas have something in common, – their fear ruled them. The character Pancho feared the unknown ever though he was quite safe. Life works that way. We have countless numerous fears that are unnecessary. These fears cause us to hold on and suffer in our ignorance. Franklin Roosevelt once said, “The only thing we have to fear is fear itself.” That was the type of fear that Pancho was facing. He was holding so tightly to fight a danger that wasn’t real. When the sun came up, the light of the morning assured Pancho that there was really nothing to fear. Jesus said, “I am the way the truth and the light…” We could be saved from untold number of fears if we would allow the light of Jesus to illumine our lives. Peter had been a follower of Jesus from the very beginning. His enthusiasm and sometimes stupidity was legend. There was absolutely nothing that Peter wouldn’t try. This story finds him confronted by the scary sight of seeing Jesus walking on the water like a ghost. Naturally, Peter being Peter, wanted to join Jesus. After a few steps into the water, the reality of fear came crushing down and he sank. That is the way it is for most of us. We get really excited about our faith and being brought to earthly reality causes doubt to begin its rule. We sink from the excitement that could only come from heaven and fall into the despair of the earth. We are overcome by fear but we have an out. When Peter said to Jesus, “Help me” Jesus did so quickly and brought him to safety. The message is, we can’t walk on water but we can count on Jesus to carry us to high ground. The desert story tells us of a young Monk of the desert who went to his mentor with a difficult situation. He was walking in the desert sand on the seashore and became overwhelmed by his thirst. This land is arid and hot and a drink of water is a lifesaving event. Hapless and helpless he asked his master for some help and he was told to drink sea water. Anyone who lives near the ocean knows that drinking sea water will not quench your thirst but lead to your death. The faithful monk drank the water and miraculously it was sweet. It was a miracle! The young monk being fearful of becoming thirsty tried to store the miracle by collecting more water. His fear was that God would not continue to deliver him in the future, so he decided to make plans to deliver himself. God is always with us and we should never try to bottle a miracle out of fear. The key to overcoming our fear is to have faith in the everywhere God. Lord help me to be aware of your presence and your promise to provide for me. Allow me the strength to turn to you in my time of need. Allow me the humility to be dependent on You from day to day and not try to build up reserves for myself. Your blessings are sufficient for today, and tomorrow’s blessings will be sufficient for tomorrow. 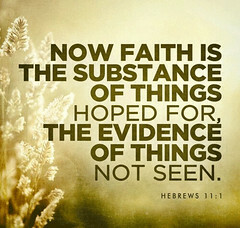 May my life be lived in this day by day faith. “I do not know.” These are four most difficult words. Admitting these words has been difficult for people since the beginning, since we are created with a “must know” nature. All men run from mystery, and yet God is a mystery. He calls us to believe what we have not seen. We are led to serve without knowing the results of our service. Be attentive to the voice of the Spirit that calls us to action, even the things that remain a mystery to us. The old monk helps us find a way in the here and now to the mystery of God. The “I do not know” is the way that we express our belief in that unknowing mystery of God. We are surrounded by atheists and doubters who have demanded concise and quick answers about the God we worship. We are first and foremost a people of faith. As the writer of Hebrews tells us, “Now faith is the substance of things hoped for, the evidence of things not seen” Proclaim your faith and live your life in the joy of not having all the answers. Dear Lord ,I do not know why there is so much evil in the world. I do not know why I fail to love you and my neighbor as much as I should. I do not know why prayers that seem so necessary go unanswered. I do not know why the scripture is full of mysteries. It is in that sort of unknowing that I cry out to you in faith. The wise Abba tells us to refrain from controversy. Our world is wrought with controversy, because it appears as though we thrive on our divisions. Governments, families, and churches all seem to have a great need to live in a state of conflict. Many people think that this postmodern world is the cause of this state of affairs, but here we see this man of the desert approaching this subject fourteen hundred years ago. He describes controversy as a “spirit,” which says to me that it is a real driving force that wraps itself around us and produces negative results. Abba Mateos’ advice to his fellow monks, and to us, is for us to have compunction. Which means we have a guilty conscience.We must allow our moral compasses to guide us in the situations that are given to us. Ultimately, it is our choice how we react to any event, statement or accusation. The challenge is to act as though the time to face our God was near. Mateos calls us to be in peace with those that disagree and hold to other beliefs. The compunction, moral code, of the Christian is to have a spirit of harmony. Just as Christ reconciled the world by suffering the cross we, as His followers, are called to stay away from controversy and to embrace His love. Let us strive to develop a spirit of compunction instead of a spirit of controversy. Lord help me this day, and all the days that you give me, to be a person of peace. Let the Spirit that dwells in me guide my action to be your actions. Block out the temptations that lead me to become arrogant and mean, and to assume that my way is better than your way. I commit myself to live as though you were watching my every move. Restrain yourself from affection toward many people, for fear lest your spirit be distracted, so that your interior peace may not be disturbed. On face value it would seem to be a very harsh thing to say that we should stray away from having many friends and connections. I think we have all heard of the things that people do to gain popularity and power. When someone is obsessed with winning the affection of many people, they have very little time for anything else. Countless hours are spent in front of the mirror and reading tips on how to be the “one.” The more we are focused on such image, the more spiritually restless we become. In this journey we find little interior peace. 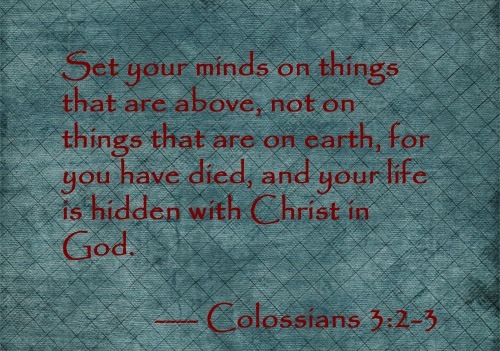 Paul tells the Colossian Church to “set their minds on things above.” The Abba says to restrain from our need for popularity. Both of these sayings are directed toward our ability to achieve peace with God. There can be no peace when we are frantically busy trying to be noticed. The only true peace is inner peace – the peace that allows us to thrive in a hostile world. Being at peace with ourselves is the most vital part of our relationship with God. Without the selfless interior peace, we remain spiritually empty. 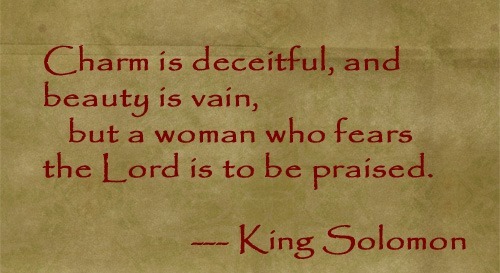 Solomon tells us in Proverbs that charm is deceitful and beauty is vain. Think about it, the wisest man that ever lived called charm deceitful and beauty vain. Shouldn’t that say something to us in our image conscious world? Our real challenge is to remain focused on the things that are above and to take our eyes off of the crowd that we seek to gather and keep them on our spiritual journey. That focus will help us to achieve the interior peace that is so necessary to walk with God. The writer of Hebrews tells us, “For though by this time you ought to be teachers, you need someone to teach you again the basic elements of the oracles of God. You need milk, not solid food.” Perhaps the Abba was simply taking the advice of scripture by giving the brother the product he produced. We all have a tendency to want more than we can appropriate or manage in our lives. The demand of our day is – I need it all and I need it now. Our real challenge is to have an understanding of place. I live in New Orleans which is a very unique place with all sorts of people. One the my favorite hustle lines is , “ I bet you five dollars I can tell you where you got ‘dem’ shoes?” I can remember the confusion that came upon me when I heard that line for the first time. How ridiculous, I thought, but the answer was so obvious and correct. I had them on my feet and I was in New Orleans, and that’s where I got ‘dem’ shoes. The same lesson is taught by the Abba. We miss what we have in front of us for demanding more. Let us learn to be mindful of the milk we have been provided, and grow in the spirit everyday.